1,2. 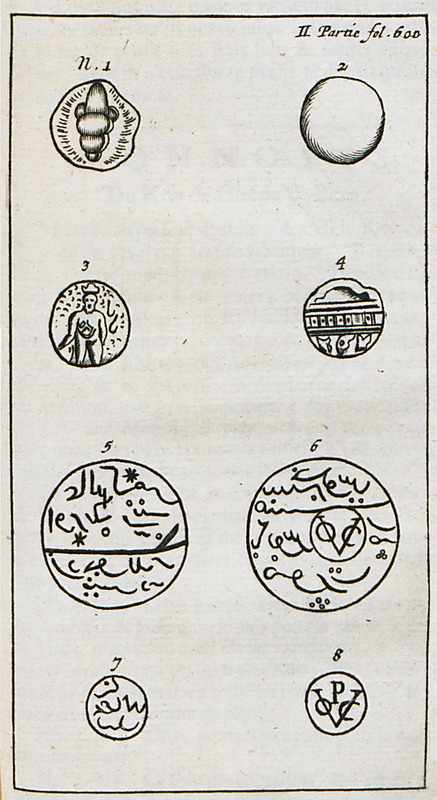 Coins minted by turkish merchants and colonists of Fort Saint George at Madras (today Chennai), India. 3-8. Coins minted by Dutch merchants and colonists of Pulicat (today Pazhaverkadu), India.